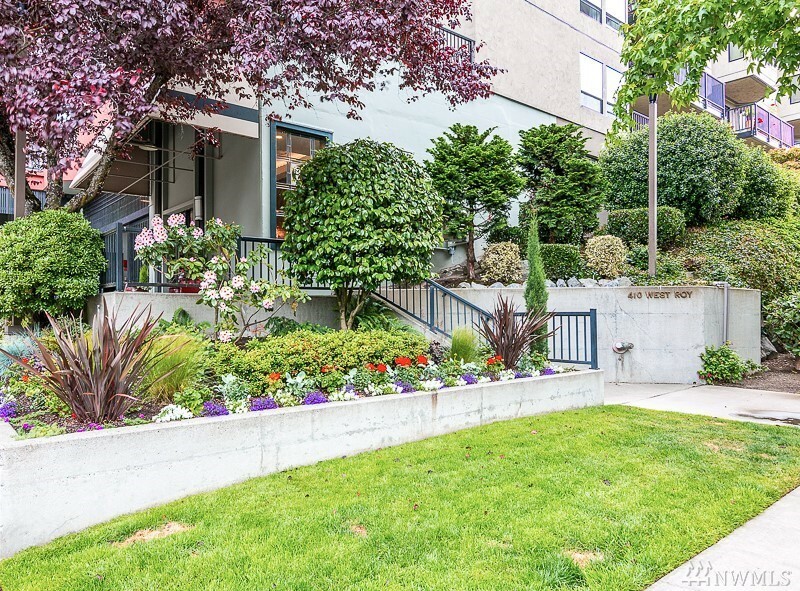 Great location nestled on Lower Queen Anne and located right next door to Kinnear Park, a lush park with amazing views, walking paths & tennis courts! It is conveniently located to Downtown, SLU, Amazon & the Gates Foundation, & the walkability is tremendous. It is close to many excellent restaurants, cafes, coffee shops & all the shopping you'd ever need! This spacious unit features a wood-burning fireplace, stainless steel appliances, a deck, one parking space & one separate storage unit.